Introducing the Moroccanoil Light Oil Treatment, a revolutionary styling, finishing and conditioning product that’s specially formulated for fine and light coloured hair. 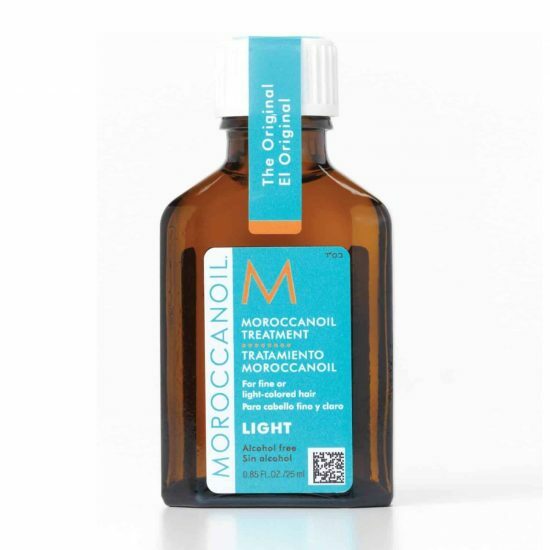 Its unique, argan oil-rich formula instantly absorbs to eliminate frizz and leave hair feeling smooth and manageable. 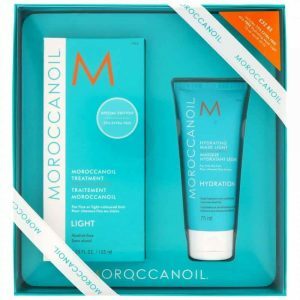 A fantastic multi-tasker, this Moroccanoil Light Oil Treatment helps to build flexible strength and restore shine and softness to dull, lifeless hair. 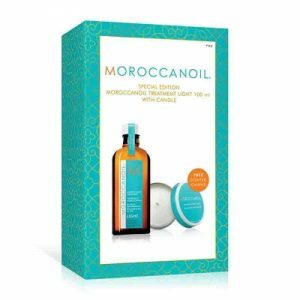 It even protects against environmental damage thanks to the UV protectors in the argan oil. The unique quality of instant absorption allows it to impart immediate shine without leaving a sticky residue. For Styling and Finishing: Apply a small amount onto your palms and work through damp hair after shampooing. Style as usual. 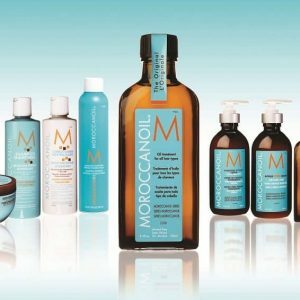 For Protection: Apply a small amount to dry hair to protect from damage caused by sun, wind and other harsh environmental factors. 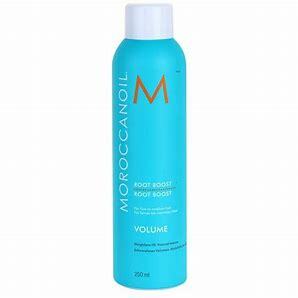 For Colour & Chemical Treatment: Before applying colour, highlights, straightening or relaxing chemical treatments, prepare hair by applying approximately 5ml directly onto hair and gently massage. Do not rinse the hair before applying colour/treatment chemicals. Add 4-7ml to the colour mix to increase hairs absorption rate and to enhance shine and depth of colour. For Hair Extensions: Use it to help de-tangle hair, wig and hair extensions. Restores elasticity, smoothness and manageability to hair.